After writing that personal tell-all about how I got started with dividends, suddenly the month ended and all the dividends are in! If only I could tell 19 year old me what things would be like now! Did you know that General Mills is serious about getting into the organic sector? They now own the Larabar, EPIC, Annie's and Muir Glen brands. That's one of the reasons I bought this stock. I'm not sure what the future looks like for their other brands. Their yogurt brand, Yoplait, has been suffering and their baking brands like Pillsbury and Betty Crocker have been declining too. Do Americans cook at home anymore? Are they moving towards more gourmet and healthy options when they do? I think so. Hopefully General Mills will continue to invest in organic and natural brands, because that's where tastes are headed. Price-wise, P&G shares are at lows we haven't seen since 2018. P&G is down 12% this year. Personally, I have no concerns. As interest rates rise, other investors my flee "Strong and Stable" dividend stocks like P&G. This has nothing to do with P&G's sales, it's just the market being the market. Are all my stocks dropping in price recently? Once again, since dividend stocks are often a stand-in for bonds when rates are low, they all drop their stocks and run off for bonds when rates rise! Looks like Welltower is a prime example of that right now. Welltower is a senior housing stock, so another weird issue to hit them this quarter was flu season. It's morbid, but when seniors pass away from the flu, senior housing units go vacant and Welltower loses revenue. Once again, I have no concerns about Welltower. People are getting older every day, and they're going to want to live in senior housing facilities like Welltower's. LTC is also a senior housing and hospital real estate trust. All of the same issues that apply to Welltower are also hitting LTC! Even so, their dividend has remained the same, and I get one every month. 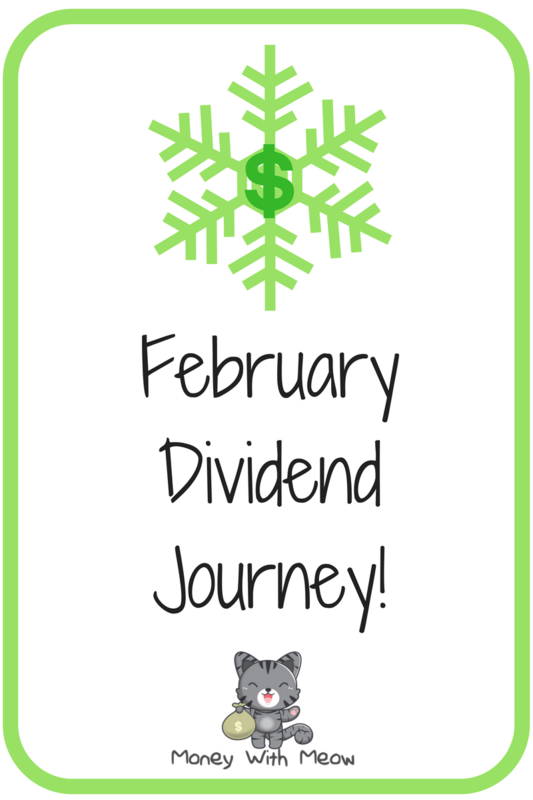 Great job with your dividends for the month of Feb. Nice to see we share many names in common for the month. Keep up the good work!